Dr Rahul Gajbhiye, Scientist D, ICMR-NIRRH, has been awarded the prestigious Wellcome Trust (U.K.)-DBT India Alliance Clinical and Public Health Intermediate Fellowship. The fellowship is instituted by the Wellcome Trust (U.K.) – DBT India Alliance, an initiative funded equally by The Wellcome Trust, U.K. and Department of Biotechnology, Government of India. 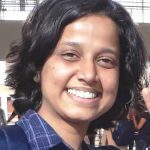 Dr. Gajbhiye is the 1st Wellcome Trust (U.K.)- DBT India Alliance Fellow from ICMR-NIRRH, Mumbai. 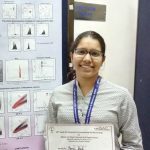 Ms. Parul Bedi, PhD student, Division of Molecular Immunology and Microbiology, received the Best Poster Presentation Award-1st Place for the work entitled, “Flow Cytometric Analysis of Membrane Vesicles from an Anaerobic Reproductive Tract Pathogen” at the 19th Indo-US Cytometry Symposium & Workshop on Advanced Flow Cytometry & Applications held at NIRRH from 15th – 17th February 2018. 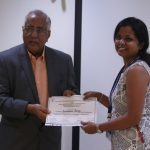 Ms. Sukeshani Salwe Ph.D student, Division of Biochemistry & Virology received the Best Oral Presentation Award for presenting the work entitled “Immune signatures for HIV-1 and HIV-2 induced CD4+T cell dysregulation in an Indian cohort “at 19th Indo-US Cytometry Symposium & Workshop on Advanced Flow Cytometry & Application at held at NIRRH from 15th to 17th February 2018 . 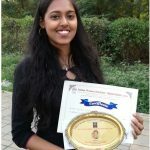 Ms. Rinku Pramanick, Ph D student, Molecular Immunology and Microbiology was awarded Dr. Suresh K. Mahajan Memorial Scholarship,by Indian Women Scientific Association (IWSA) at Mumbai, January 13, 2018. Dr Rahul Gajbhiye was appointed an International Ambassador by World Endometriosis Society (WES) in 2018. WES is the global organisation for endometriosis and adenomyosis clinical practice, research, education, and advocacy. WES facilitates research in aetiology, pathogenesis, and pathophysiology of endometriosis and adenomyosis, to discover the cure and prevent endometriosis. 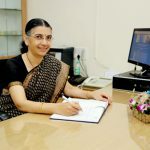 Dr Gajbhiye’s research programmes are focused on the pathogenesis of endometriosis, non-invasive markers for the diagnosis of endometriosis, pregnancy outcomes in Indian women with endometriosis, clinical phenotypes and genetic risks for endometriosis, and the association between endometriosis and ovarian cancer. Dr Gajbhiye is actively collaborating with World Endometriosis Research Foundation (WERF) for implementation of WERF- EPhect research instruments in low resource settings. Dr Deepak Modi, Scientist-E, Molecular and Cellular Biology received the Prof. G. P. Talwar Gold Medal for Middle Career Scientists for the year 2017 at the 27th Annual Meeting of the ISSRF and International Conference on Reproductive Health with Emphasis on Strategies for Infertility, Assisted Reproduction and Family Planning, ICMR, New Delhi during January 23 to 25, 2017. Dr Smita D Mahale, Director received ‘Prof. N. R. Moudgal Memorial Oration Award for the year 2017’ at the 27th Annual Meeting of the ISSRF and International Conference on Reproductive Health with Emphasis on Strategies for Infertility, Assisted Reproduction and Family Planning, ICMR, New Delhi during January 23 to 25, 2017. Sushama Rokade, Ph D Scholar, Department of Innate Immunity, received Award for Best Poster Presentation for ‘ Surfactant Protein D regulates testicular immune privilege and contributes to male fertility ’ at the 27th Annual Meeting of the ISSRF and International Conference on Reproductive Health with Emphasis on Strategies for Infertility, Assisted Reproduction and Family Planning, ICMR, New Delhi during January 23 to 25, 2017. Ms. Shubhangi Gavali PhD Scholar,Molecular Immunodiagnostics, was awarded First Prize – Prof. N. J Chinoy Award for her oral presentation titled – Lyn, a novel mediator of effect of estrogen on osteoclastogenesis? 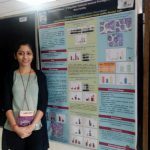 at the International Conference on Reproductive Biology and Comparative Endocrinology and 35th Annual Meeting of The Society for Reproductive Biology and Comparative Endocrinology, University of Hyderabad, February 9-11, 2017.